The Radcliffe Trust is proud to celebrate its Tercentenary year starting in November 2014. Information regarding special events to mark the occasion, and previous events, can be found below. The Radcliffe Trust is proud to be partnering Wigmore Hall in an important series of chamber music commissions. The series falls naturally into two parts, the first comprising five new string quartets and the second, and this is the Trust’s brainchild, a quintet, sextet, septet and octet to be commissioned for the years 2015 to 2018 respectively. The composers will all be British, some well-established and some younger, and the performers chosen from amongst the leading chamber musicians of our time. All nine new works will be premiered at Wigmore Hall. The commissions project was conceived to reflect the Trust’s long-standing interests in both chamber music and composition, and to look to the future with the creation of an important addition to the chamber music canon. As well as adding significantly to the string quartet repertoire, the trustees will provide “companion pieces” for some of the iconic chamber works for larger ensemble. By so doing, the new works stand a good chance of finding regular performances in the future. The series started with a new composition by Mark-Anthony Turnage which is part of a co-commissioning partnership between Wigmore Hall, The Radcliffe Trust and NMC Recordings. Mark-Anthony Turnage’s new work for the Belcea Quartet was performed in December 2014 and followed in January 2015 by Simon Holt’s composition for the JACK Quartet. In June 2015, the Carducci Quartet with the cellist Guy Johnson performed Anthony Gilbert’s string quintet “Haven of Mysteries”, in a programme which also included the great Schubert two cello quintet in C. In July 2016, a commissioned work for string quartet, by Donnacha Dennehy, was performed by the Doric String Quartet. The next event in the commissioning series will be on the 24th September 2016 at Wigmore Hall, featuring principle players from Aurora Orchestra. It will include the world premiere of a new sextet by Anna Meredith. For more information on the musicians performing, click here for the Aurora Orchestra Website. The series will continue in coming seasons with the premières of scores by fellow British composers, Helen Grime and Paul Newland. In 2014-2015 the Radcliffe Trust (RT) is commemorating the 300th anniversary of its establishment by Dr John Radcliffe of Oxford. As part of its Tercentenary, the Trust has celebrated the achievements of the many extraordinary organisations and individuals it has supported over the years with the Balfour of Burleigh Tercentenary Prizes for Exceptional Achievement in Crafts. 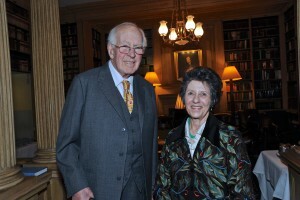 These prizes are named in honour of Lord Balfour of Burleigh who retired as a Trustee in 2014 after 40 years’ distinguished service to the Radcliffe Trust and, in particular, to the Trust’s Heritage & Crafts programme. Radcliffe Trust grantee organisations were invited to nominate individuals they felt had demonstrated exceptional achievement in crafts and excellence in a particular field. For our purposes, by the term Crafts we intend the whole sector currently covered by the Radcliffe Trust Heritage & Crafts grants programme: designer-making, heritage crafts, rural crafts, building crafts, conservation crafts and artefact conservation. We received a wonderful response to this call. All the letters spoke of excellence and expressed the exceptional dedication, skills and achievements of the individuals concerned in all fields of crafts and conservation. They also spoke with moving warmth and respect of their colleagues. This was a tribute both to the individuals and to the organisations who have supported and nominated them. Given the very high standard of the nominations, the Trustees recognise that to have received a nomination constitutes, of itself, an outstanding distinction and all nominees have received certificates of excellence to mark their achievements. In addition to this, a number of special prizes were presented in person by Lord and Lady Balfour at a celebratory dinner held in London on 24th November. 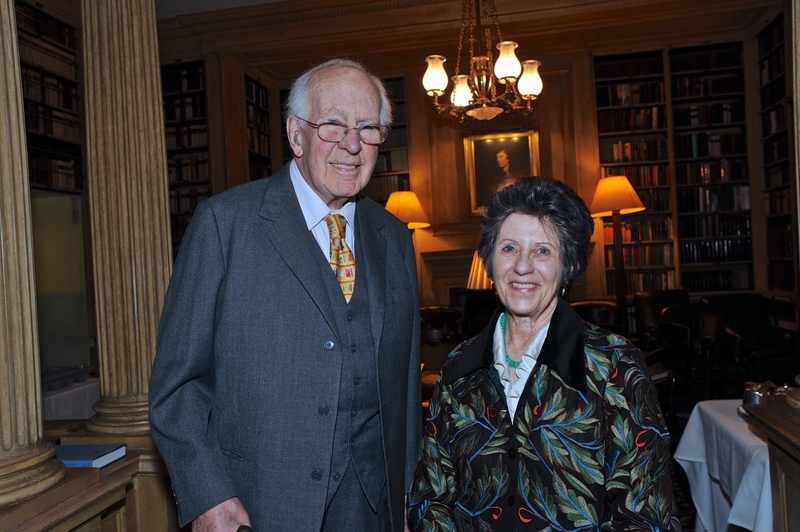 Sir Christopher Frayling was our special guest and toasted the health of the Radcliffe Trust as it moves into its fourth century of operations. The Radcliffe trustees offer their thanks to the nominating bodies and their sincere congratulations to all nominees and prize winners. A new composition by Orlando Gough, developed through research in the Respiratory Medicine department at the Churchill Hospital. The composition highlights breath as an essential part of the human life cycle. This new piece of music theatre was performed at The North Wall by three women who sing about breath from birth to death. The Bodleian Libraries’ winter 2014 exhibition celebrated the life and legacy of John Radcliffe, a physician and philanthropist who left a lasting mark on the University and city of Oxford. The exhibition considered his legacy to Oxford, and the three buildings in the city which bear his name: the Radcliffe Infirmary, the Radcliffe Observatory, and the Radcliffe Camera: the first circular library in Britain, and one of the country’s most distinctive and recognisable buildings. The exhibition also looked at Radcliffe’s ongoing legacy in the work of the Radcliffe Trust as it marked the 300th anniversary of his death. The exhibition ran from 28th November 2014 to 20th March 2015. Link to The Bodleian website for more information. One of the outcomes of the exploratory Round Table held on 13 July 2010 was the co-organisation, in partnership with the Heritage Lottery Fund (HLF), of a follow-up event which took place on 24 March 2011 at Mary Ward House in London. This was attended by over 130 organisations from the Heritage and Crafts sectors, including funders, beneficiaries, support agencies and stakeholders.The aim of this day-long conference was to build on and give a much wider airing to the issues raised at the Radcliffe Round Table 2010. Our joint objective was to identify the strong messages that could be taken forward and acted upon, both by HLF and the Radcliffe Trust and by participants themselves. The day was divided into: Radcliffe Trust and HLF grantee sharing workshops; plenary sessions on Qualifications and Standards, HLF’s future directions on heritage skills and Issues affecting the future of the Heritage and Crafts sector; a concluding Round Table for funders only. As a result of this final discussion amongst funders, a Heritage & Crafts Funders’ Network is now being set up, to be administered initially by The Trust Partnership. The notes below include comments from participants on the event itself. The most frequently heard of these was that it had been a truly unique event and the first time ever that such a range of people – public and independent funders, support agencies, beneficiaries and fundraisers – had been assembled to work together so successfully.